When I think about spring I think of a few things; spring flowers/colors, cleaning, and Easter. Since I was NOT in the mood to start cleaning the whole house. I decided to go with the other two themes: spring flowers/colors and Easter. I don't have many Easter decorations and I thought it would be fun to make a super simple table runner. 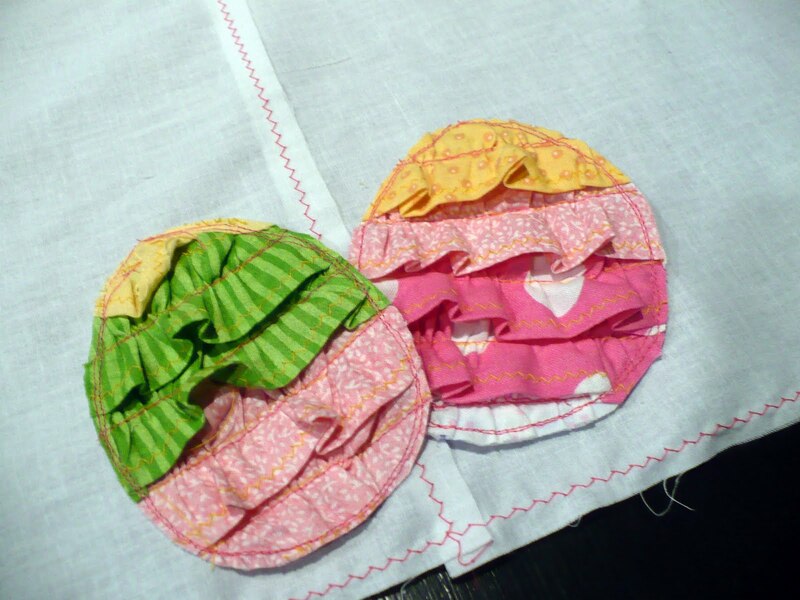 When I came across the Ruffled Easter Egg Tutorial from Positively Splendid I knew I had to make these little eggs. They were super easy and the tutorial is well written. I didn't want to spend any extra money on this project, so I scrounged through my scrap pile. I found the white fabric in my stash, I don't know what I originally used it for but it was cut into rectangles. They each measured 8"x17". I love the stark white with the bright colors. I wanted the table runner to look ragged and pieced together so I just zigzagged the rectangles together. This project was super simple and fast. I am not sure if I absolutely love the outcome. I feel like it still needs something. What does everyone think? Does it need more, or should I leave it as is? What should I add? I am stumped!! I love the eggs, I hadn't seen them so thanks for sharing. I also love the colors you put yours together with. 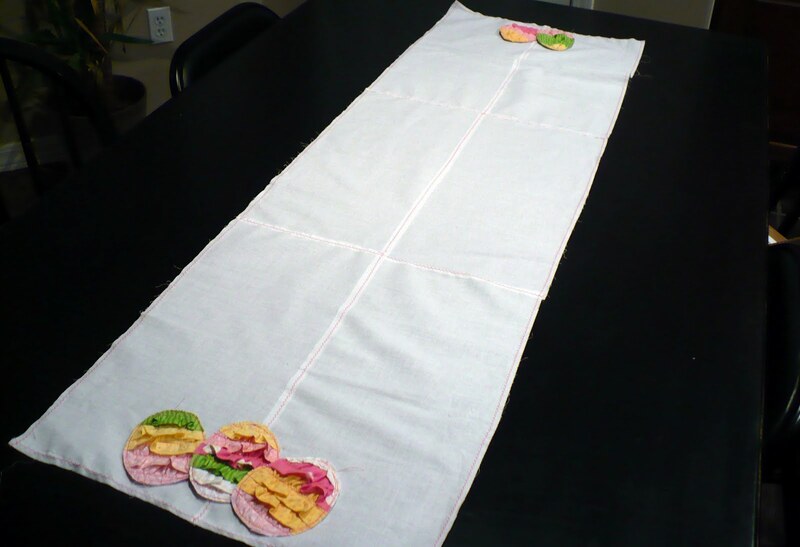 As for the table runner, I think with a cute center piece, easter basket or something, it will look just right. I agree with Jennifer. I think a basket of eggs or spring flowers as a center piece will be the perfect topping to your beautiful table runner. 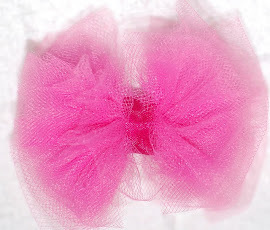 I love the ruffle easter eggs on the ends! Very cute! This is so cute! Can't wait to try it! These are adorable...It would make a cute applique for and easter shirt too! I would love for you to come link up to my Sew Crafty Party ! I vote for some ric rac!! Great job! 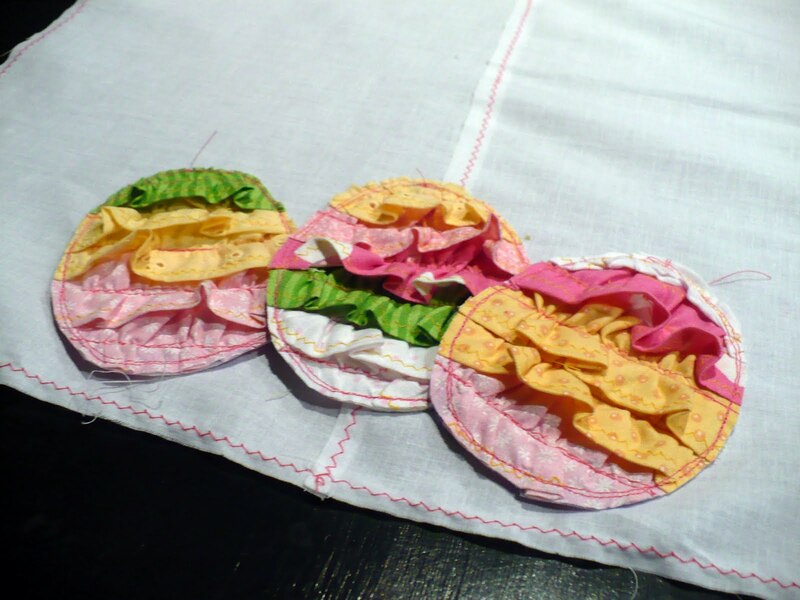 Your table runner is so cute, ruffly and frilly! I will be featuring this on saturday! do grab a featured button! really like that you picked a zig zag stitch to finish it off!